Ohio River Scenic Byway to E Lost Fork Rd. Driveway starts near coordinates 3843'31.8N 8512'09.7W. Property coordinates 3843'22.7N 8511'57.7W. Over 112 acres of private wooded land with 2 full residences! Main house is 3 bed 2 full bath ranch w/ cathedral ceiling living room, eat-in kitchen w/ walkout to screen-in porch & master w/ adjoining bath. 3 bed 2 full bath 3 story guest house w/ loft, open eat-in kitchen & huge 13x27 screened-in porch. 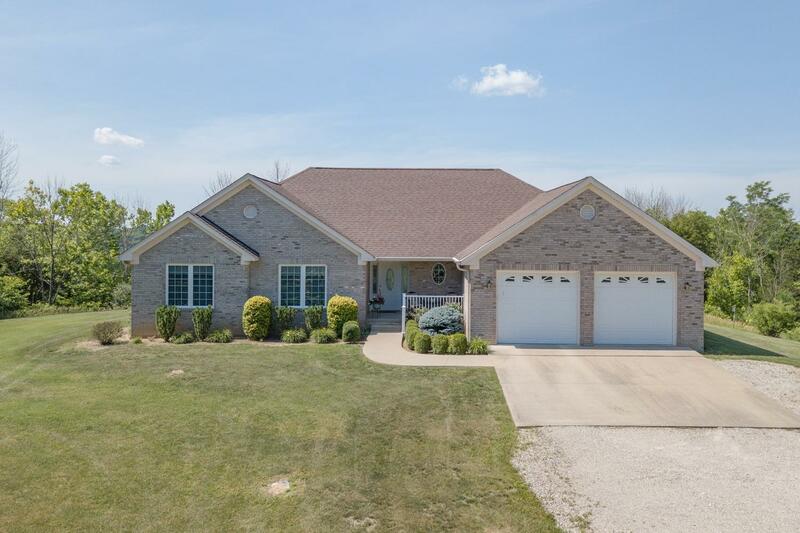 Adjacent to Splinter Ridge Fish & Wildlife! This listing courtesy of Ron Bisher (513) 708-7968, Coldwell Banker West Shell 513-922-9400.